A Flex Fertilizer plant is easy to use and can be staffed by only one person. 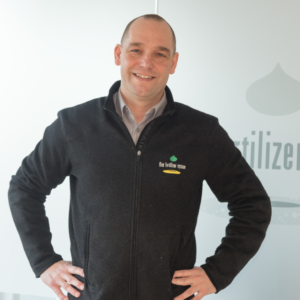 There is minimal training needed, and no prior knowledge of mixing fertiliser is required. All processes are automated, when the recipe is chosen, the right amount of water, liquid and solid material is added into the mix. When the batch is done, it can be transferred to IBCs, tanks or trucks. To ensure the quality of the fertiliser, the plant is always connected to the Flex server, meaning you get the newest recipes and updates. Flex Fertilizer System can supply the entire setup needed to start manufacturing fertiliser.